An untold part of the story is how a small group of mainly white, very well educated, middle-class people could lose their rationality when exposed to the world of Osho. So much so, they repeat the same catch phrases and clichés, as if these people were brainwashed or hypnotized. These people we are referring to here are the 150-odd English-language writers from newspapers and magazines from around the world that reviewed this documentary series. With very few exceptions, they all trot out exactly the same language, based on exactly the same assumptions, as if it were they who are part of a cult. Cult? Yes – and ironically, these writers were uniformly clear that it was the residents of Rajneeshpuram who were the cult. Why? Because they worked together to build a city on virtually unusable farmland in the Oregon high desert, miles from anywhere? A city that addressed so many of the major catastrophes afflicting modern society? An ecological model community where they built dams as part of intelligent water management, repairing the degraded riparian zones; a place with no unemployment or poverty; no loneliness, drug addiction, sexual violence or rapes… where the psychiatrists were all building roads and houses – in fact a place of celebration where people laughed so often and danced in the streets. It was home to the world’s first community-wide, STD-prevention program that was so successful that the gynecologist had to join the psychiatrists on the building sites, not to mention the world’s first community-wide HIV prevention program. A place where deer roamed freely without being shot, where animals were not eaten; where women and gays were not treated as second-class citizens, and where no one was judged by the color of their skin. A veritable oasis in the desert: a pilot project for a new way of living. It had to be a cult because every review of the documentary insisted the residents had a “guru.” Did they really? Now where did the writers get that idea? Wasn’t it the surrounding Christians who believed in “the good shepherd” with his “flock” of “sheep”? Osho spends years publicly condemning exactly that kind of primitive dependency on “the other,” exposing the very idea of “following” – particularly the childish Christian Sunday-school idea of “Come follow me.” But who listens? Who cares about the facts when you have the power to defame others with impunity – those less privileged minorities whose rebellious voices are effectively muzzled, and who have been faked over by the media since forever? A few of these reviewers wanted to justify the reaction of the city’s neighbors by reminding the readers about the suicides in Jonestown. Forgetting of course to mention that these were real followers – of “The Reverend” Jim Jones. I have never called myself godman. And the yellow journalists go on saying sensational things to people, meaningless, false, ugly – because I am not a guru. If I have to define it I will say, “I am only a friend, a friend of all those who have talents, intelligence and some urge for spiritual growth.” To me they are the rich people. Then the endless repetition of “the invasion of the nearby ‘city’ of Antelope?” – a ghost town of 40 elderly, retired residents, 20 miles down a dirt track, a place nobody wanted to go! The dreaded facts again: The local ranchers made peace with their arch-enemies, the environmentalists, and went to court to block the creation of the city of Rajneeshpuram, insisting the land was only for farm use. They even prevented the installation of telephone lines. So where are the residents legally forced to go for their phone lines? Antelope. Was there a culture clash? You bet. This is America. Oh, yes, and those Rolls Royce’s! 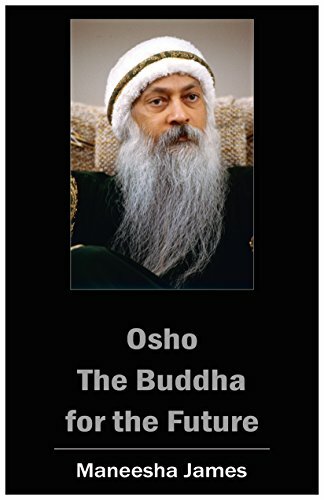 Osho’s hundreds of books on meditation didn’t touch you? Ok, so what would? Of course, cars and watches. Now you will never forget. In reality, Osho never owned anything, and found in those cars the perfect way of poking a lasting hole in the American consumerist ego. It is clearly still poking! And finally, those crimes! Please no more facts! In terms of both the number of victims and the severity of the crimes against them, it was the residents of Rajneeshpuram who suffered the most from Sheela Silverman’s crimes. Yes, others also suffered, but the city residents were doubly victimized: firstly by the crimes themselves, and then by the continuous insinuation in so many reviews of the documentary that these residents were somehow also part of this criminal gang. As if the residents of Chicago were responsible for Al Capone – or perhaps it was his brutal Catholic upbringing, so let’s blame the Pope. Not to mention Silverman’s open declaration that she had to break with Osho because he was no longer interested in the community – but then, without blinking – she cunningly tries to play the “just following orders” defense! As if Osho is going to say, “What a good idea to kill my doctor.” Twice! Perhaps a couple of examples of that breakup will suffice. In 1984, Osho proposes to Sheela Silverman that she decentralize her absolute authority over the community by allowing different areas to be self-governing. In particular, he suggests that Niren, the lawyer in the movie, be the community’s spokesperson instead of Sheela. The very next day, Niren was moved from the legal department to building roads. So much for following orders! Soon afterwards, Osho starts speaking publicly again. As Osho continues to speak, the contrast between his vision and hers is so stark that the foundations of her dictatorship crumble, and after a desperate, crime-filled 9 months, Sheela fled with her secret coterie of conspirators. As her crimes then begin to come to light, Osho is informed and then publicly asks the FBI to investigate this “criminal gang.” They came, but justice was not their interest. Finding a reason to deport Osho and destroy the commune turned out to be their motive. The residents were left with a major lesson: Why are we so unconscious that we allow equally unconscious political minds to persuade us to give up our responsibility and accept their fascist systems of control because of their promise to keep us safe from demonized outsiders! I have never felt more love for America than I feel now – for the people of America, the land of America. It is under an ugly government, a fascist government which is pretending to be democratic, but it is not; it is pure hypocrisy. I am not resentful against the government of America. Whatever they did to me, I have taken note of it and I have seen their real face. I am going to expose that face to the whole world, not out of resentment, but with a hope that perhaps this exposure may change them. Even if they do not change, they will lose face before the world. Either they have to change themselves or they will be losing millions of people around the world who would have been their friends. I was one of their friends. My people were their friends. They have unnecessarily lost millions of friends. America’s politicians not only destroyed this amazing experiment in a new way of living, but also the opportunity for the world to heed Osho’s warnings about where humanity was otherwise headed and how this could be avoided. We live with the results of that all around us today.